Canada's tech strategy needs more than good intentions. By many reports, Canada is poised to become—if it isn’t already—a world leader in artificial intelligence (AI). However, Canadian governments at all levels don’t seem to realize that leadership doesn’t end at the word “innovation,” or at cultivating high ethical and privacy standards, democratic values and the respect for human rights in AI policy. Leadership requires actually standing up for these principles. While some economists and home-grown companies have pointed out that Canada cedes too much economic ground to technology firms in the United States and elsewhere—by letting them run off with Canadian-developed intellectual property, for example—the real and greater danger is in ceding ethical, normative and regulatory space to other countries or to industry in pursuit of short-term gains, or due to political complacency and inertia. During the negotiations of the United States–Mexico–Canada Agreement (USMCA), or “New NAFTA” as it’s sometimes called, Canadian officials said their goal was to maintain balanced copyright policy. By that they meant more or less the status quo, a copyright system that takes into account multiple factors—freedom of expression, access to information, research and education, and the implications of copyright for cultural heterogeneity—rather than focusing solely on the economic interests of those who would expand copyright protectionism. Unfortunately, Canadian USMCA negotiators ultimately accepted many of the more radical intellectual property law provisions that were removed from the Trans-Pacific Partnershipwhen the United States withdrew from that agreement. Those concessions include a 20-year extension to copyright terms from 50 to 70 years of exclusivity after the death of the author. But the betrayal of purportedly Canadian values and policies goes well beyond terms of protection for artistic works. Data governance is an increasingly important area of policy in this age of ubiquitous surveillance, mass data breaches, and hunger for “big data” from AI, the Internet of Things (IoT) and smart cities. It is hard to understand, then, why Canada capitulated on the matter of data localization in the USMCA—by agreeing to a general ban on the ability of governments to require that businesses store users’ data on servers within Canada, where constitutional rights and the Canadian Charter apply. Privacy legislation in B.C. and Nova Scotia already mandates that some personal information (health records, for example) must be stored on local servers. Ditto for the federal government’s own cloud adoption strategy. While USMCA includes some exceptions, it undoubtedly ties Canada’s hands, not just now but into the future, which is problematic when multinational technology companies already dominate so much of our online activity. It is precisely because the future consequences of technological ambitions are hard to predict that we should be protecting our policy space to regulate the sector. 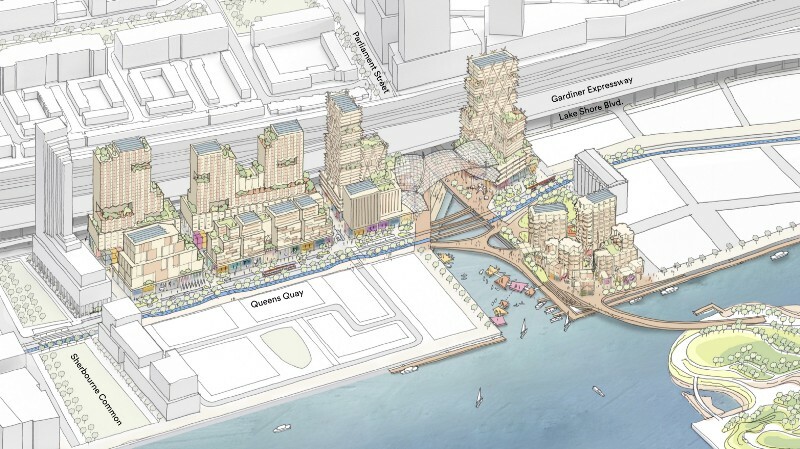 For a case in point, we can look at the debate over the future of Waterfront Toronto’s high-tech, low-governance partnership with U.S.-based Sidewalk Labs, Google’s sibling company, to build a neighbourhood called Quayside. See Ava Kofman’s article on page 34 for further details, but for the purposes of this column, suffice it to say that a big part of the controversy boils down to what data will be collected on Toronto residents and visitors in the community, and who will own and manage it. Sidwalk Toronto has been big on data, yet short on democracy. Shortfalls include poor consultation with all levels of government and with Waterfront Toronto’s relatively new Digital Strategy Advisory Panel, which is consistently given scant time to review significant documents; a damaging report from Ontario’s auditor general, who in December questioned why Sidewalk Labs was granted preferential treatment during the request-for-proposals process; four high-profile resignations—including former privacy commissioner Ann Cavoukian and Saadia Muzaffar, founder of TechGirls Canada—over flawed process, lack of commitment to data privacy, and ongoing transparency and timing concerns, particularly with respect to questions of data ownership and governance, privacy, and intellectual property rights. “Sidewalk Labs continues to act like it’s the government,” points out Bianca Wylie of Tech Reset Canada, who has extensively detailed how and how often government entities meant to steward the Canadian public interest are caught flatfooted and complicit. Think here of the federal privacy commissioner’s inability to enforce privacy laws against Facebook, or Canadian cities suddenly forgetting about Amazon’s work conditions in bidding for HQ2. Canada is taking some strides toward ethical AI and innovation—the Treasury Board’s Directive on Automated Decision-Making is a good start—and is aware of the problem of publicly funded technology being patented and commercialized abroad. However, as the USMCA and Sidewalk Labs examples show us, when major U.S. tech companies are involved our government is susceptible to being pulled off track. If Canada truly wishes to don a “leadership” mantle in the future of AI and technology, it is not enough to have hearts and minds in the right place. At the end of the day, we need a spine to keep them there. Cynthia Khoo is a digital rights lawyer who focuses on internet policy and human rights. This column is taken from the forthcoming issue of the Monitor, which will be available for download January 2 and will show up in mailboxes shortly afterwards. To receive the Monitor at home, make a donation to the CCPA here.